FINALLY! 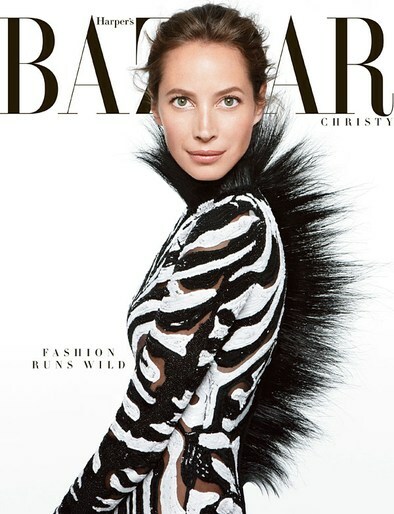 Thank you Harper's Bazaar for featuring a working model (rather than a celebrity actress) on the June/July cover of your magazine.... And its supermodel Christy Turlington, who at 44 continues to set the bar high on all aspects of living well. 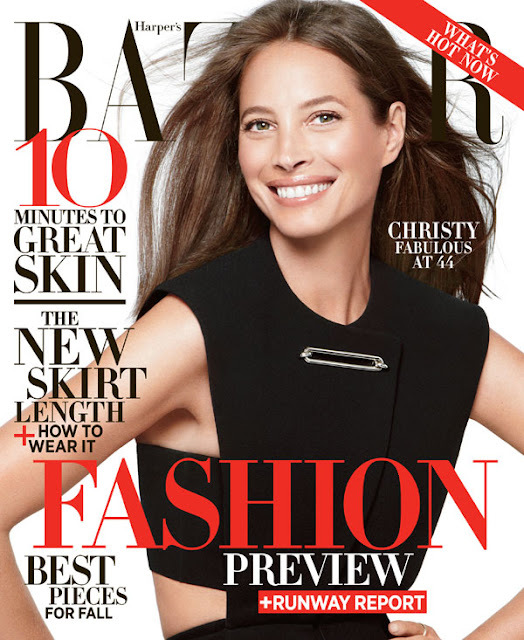 In the midst of her 30+ year modeling career, Christy is wife to writer/director/actor Ed Burns, mother to their 2 children, graduate of NYU, and founder of Every Mother Counts, "a campaign to end preventable deaths caused by pregnancy and childbirth around the world". The photo above is the cover shot for Harper's Bazaar magazine subscribers (which I received), and below is the cover currently out on newsstands. Read more from the featured article here.... Plus watch the attached videos I've included below.... The first one includes Christy discussing Every Mother Counts and the second (one of my favorites) is her appearance (alongside a fabulous group of supermodels Linda Evangelista, Naomi Campbell, Tatjana Patitz, and Cindy Crawford) in the George Michael video Freedom! 90.